Hey Free 24 hour pass to Lynda.com! Hey here’s a Great opportunity to get some of the BEST video training available for FREE. Lynda.com is in my opinion the BEST video training available. There’s a reason that Adobe has been using them! Check it out, I think you will want to keep using their training to advance your knowledge! Just use the link below. HURRY this offer expires on 01 Apr 2010! ﻿﻿﻿Free 24 hour pass to lynda.com. I often find videos or examples of work other people are doing inspiring. I especially like video’s of others working, most likely because I’m visual and learn best from watching something being done. This is a video from Chase Jarvis and he is using the RED One digital cinema camera and the Nikon D3s HD DSLR on location shooting skateboarding and glass blowing. He shows some tricks of the trade and how he got his angles. 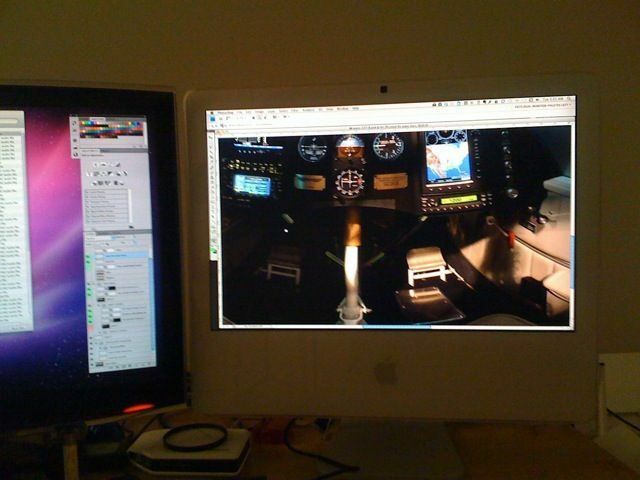 General Aviation News has a post about WACO’s new YMF-5D 360° cockpit virtual tours! This has been a great project to do. Very interesting subject matter. 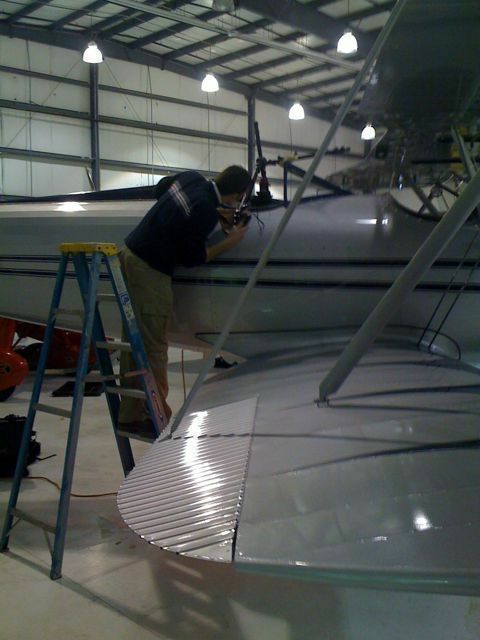 The WACO biplanes are true works of art. It’s not often these days that you see that kind of craftsmanship. 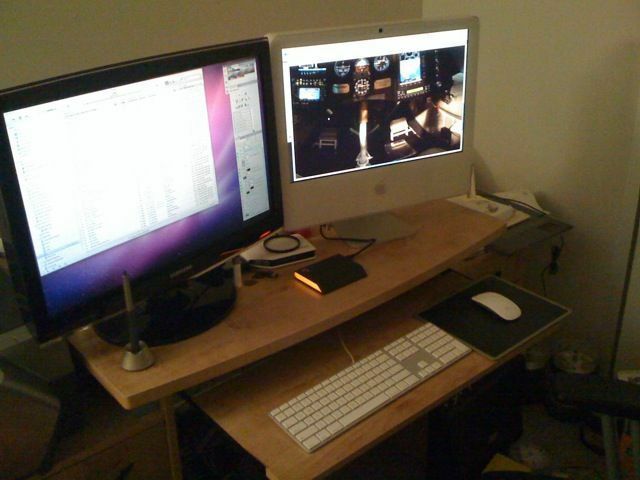 Click screenshot above to go to General Aviation News site. WACO Aircraft 360 Panoramic Photography of Cockpit! I’ve been promising it and here it is! 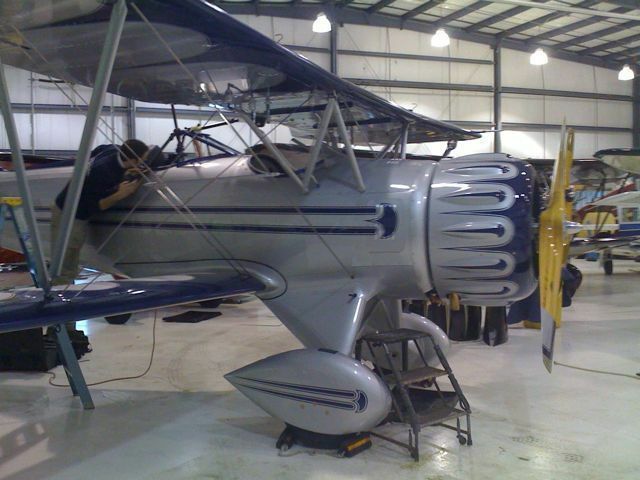 Here’s the link to one of our WACO Classic Aircraft Corporation biplane cockpit 360 panoramic’s! WACO biplane cockpit 360 panoramic screenshot. Click link in blog post or this image to see the high quality full screen panoramic for yourself! 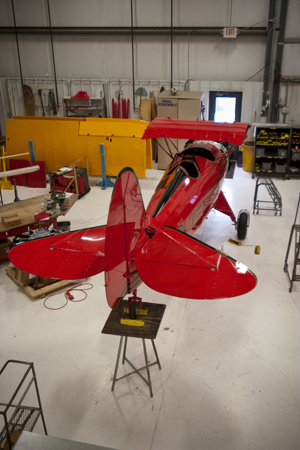 I am posting some of the normal photos I took when we were at WACO Classic Aircraft Corporation doing a 360 degree photography panoramic shoot of cockpits for them. You just don’t see quality craftsmanship like this anymore! Just amazing work! 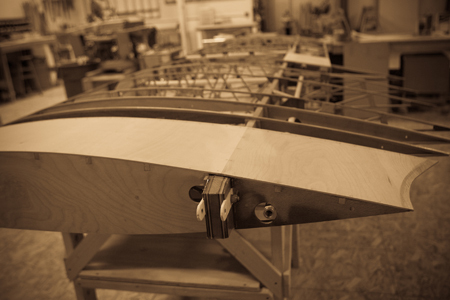 You have to see these wooden wing frames that are made the way they use to be for the biplanes in the 30’s by real craftsmen! Amazing craftsmanship! You have to see it in person to realize how well it is made and to what extent the attention to detail is! 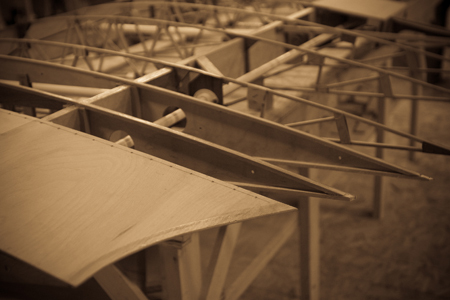 A view of a whole wing structure. Craftsmanship and attention to detail like you wouldn't believe!